Nothing takes Me by surprise, says the LORD. The enemy doesn’t know how to set traps to forward frustrate Me, for I see everything, know everything and Am always aware of the future, says the LORD. I will foil his plans against you. I will clear your path that I prepare for you, and enlighten the way for you. I will rid you of the pitfalls and remove the stumbling blocks. You need only to focus on your walk, says the LORD. Just keep your eyes on Me and walk. Keep up the pace with Me as I order your steps and prepare the way for you. I never create a detour for you and never have you walk around in circles. 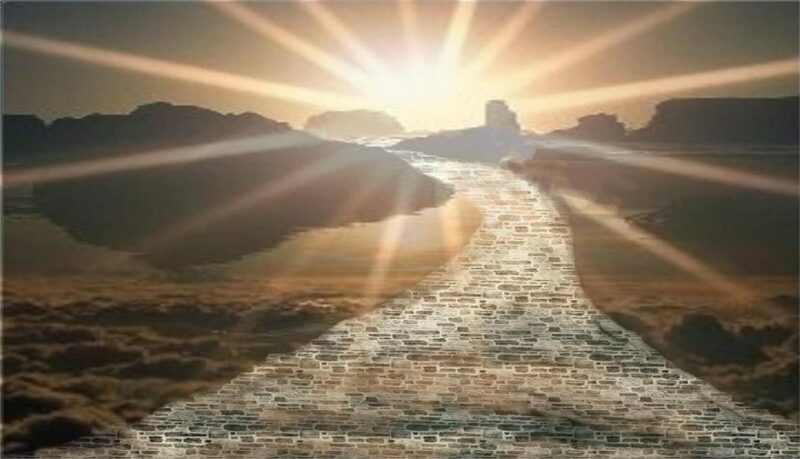 The path is straight ahead and narrow so that you are walled on the right side and walled on the left to keep you from straying, says the LORD. My light will shine brightly upon My path that I have for you, says the LORD. Do not fear getting lost. It is easy…right before you. You need only to take one step at a time. I Am not taking you round and round or creating an obstacle course for you. It is not a maize or zig-zag pattern. It is not confusing or back tracking. Straight is straight and narrow is narrow. You can’t get lost if you refuse not to stray. I will give you good ground to walk on and I be with you always. You will never be absent from My voice or presence and I secure your journey as I give you the green light to proceed, says the LORD. Thank You, Lord Jesus. Amen!!! Thank you father, that my footsteps are ordered by you alone! Thank You Father! Keep me from going stray!I will follow You! Amen! Thank You Abba you are such a good, good Father. I receive it in Jesus Name. Thank you your for bring on this path of your life father thank you for the Holy Spirit. AMEN & THANK YOU JESUS FOR being my PROTECTOR FROM ALL OF MY ENEMIES; AMEN!! !